Poovan or Rasthali Banana – 2 nos. Remove the seeds from Dates and soak in water for 1 hour atleast. Take the bananas of your choice and peel them. Slice them into small pieces and put them in bowl. Add the Dates without water in the bowl and mash these two ingredients with hand or a spoon. It should become like a paste. Add Honey and Jaggery powder as per taste. Finally add Palm crystals and mix all the ingredients thoroughly. Check the taste and adjust the sweetness accordingly. Now fresh Panchamirtham is ready to taste. Panchamirtham is one of the famous offerings given in the temples of Lord Subramanya in Tamil Nadu especially in Palani. I got the recipe of this all natural sweet in the book written by Ms. Rathi Loganathan called ‘Arockiamey Aanandham’. We tried this at home immediately and it came out well. We also used Country variety banana and that also tasted good. 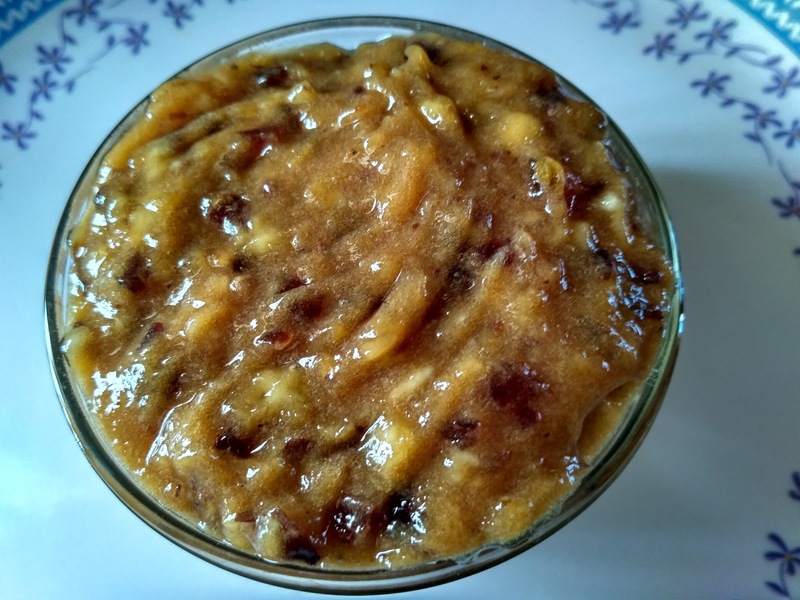 You may alter the quantity of Dates, Honey and Jaggery powder as per your choice. The Palm crystals should not be too big or too small. One should be able to bite it without any difficulty.